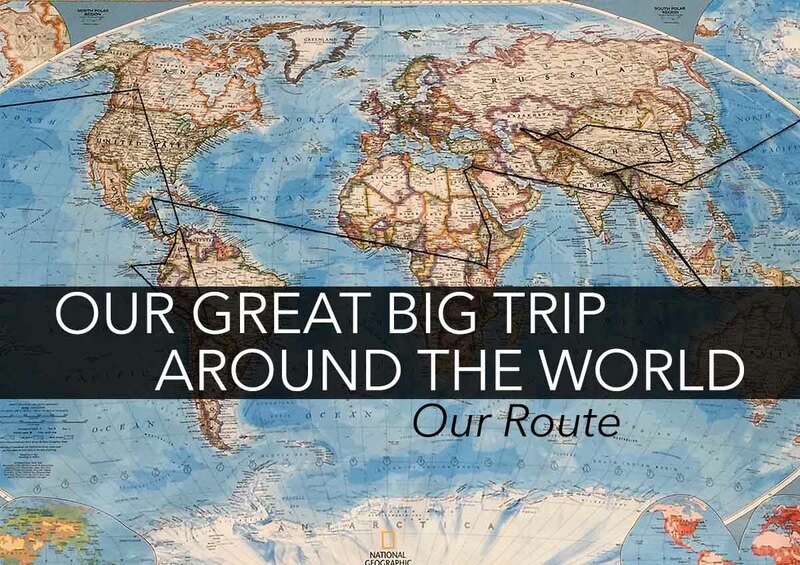 A complete guide for EVERYTHING you need to do to plan and prep for long term travel. Including a timeline telling you WHEN to do everything. Seriously, there’s NOTHING missing! If you’re even thinking about a family gap year, you NEED to read this! Really...How Much will it cost? This was my first question when I started dreaming about our trip, and I’m sure it’s yours too! I’ve included our initial budget, as well as EVERY SINGLE PENNY we spent during our Gap Year (by location and category). No two budgets will be the same, HOWEVER this should give you a pretty good idea of where to start. This is, obviously, going to vary drastically from one family to the next! Read all about our route, why we chose it and how reality differed from what we planned. PLUS, and most importantly, learn from my mistakes! Find out what I think we did WRONG…and how you can do it differently. What we’d done, and how we were feeling 100 days to take off! Our schooling (unschooling) plan for our year abroad. Just so you know you’re normal, we had major a tiny bit of anxiety before leaving too! Increase your chances of staying healthy during your gap year by following these pre-trip steps. We try to avoid single use plastic as much as possible, at home and when traveling. Water bottles are a HUGE contributor to the plastic waste polluting the ocean, and a year of travel in countries without potable water has the potential to produce a LOT of plastic water bottle waste. Instead, we found the PERFECT reusable water bottle solution. If you’re not blogging, vlogging and electronically documenting every moment of your trip you might not need all this stuff. BUT…you will want some electronics and the ability to plug it all in worldwide! Our perfect travel adaptor is included in this list! With only a small amount of stuff to last the entire year, the right gear is important. Over the years I’ve tested a LOT of travel items and finally settled on my favourites. Everything from clothing to shoes gadgets and more. Of course, this isn’t extensive, but the ones that I feel are harder to find in a random google search!